Mumbai : Cartoon Network brings a special programmes of comedy, adventure and sheer fun all through September for its viewers. 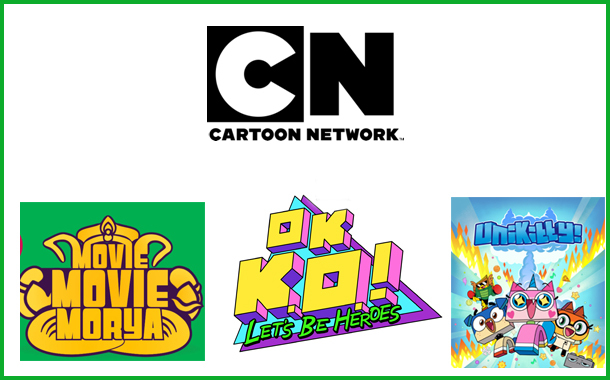 Cartoon Network launches popular shows Unikitty and OK K.O.! Let’s Be Heroes in India. Back-to-back season specials and movies featuring toons from Roll No. 21 and Oggy and The Cockroaches. Cartoon Network celebrates Ganesh Chaturti with special movies and episodes of Roll No. 21 and Oggy and the Cockroaches from 13th to 24th September, Thursday to Sunday, from 12pm to 3pm. The never-ending chase between Oggy and The Cockroaches through special episodes and a movie marathon will be aired on 8th and 9th September, 9am onwards. The very popular Unikitty is flying out of The Lego Movie, into her very own world full of adventure, excitement, and dance parties. The brand new show will air on Cartoon Network from 15th to 22nd September, at 4pm.The video game-inspired world with K.O. OK K.O. Let’s Be Heroes will telecast from 28th to 30th September, 12pm onwards. Tags: adventure and sheer funCartoon NetworkCartoon Network brings a special bonanzaCelebrating the advent of festivitiesfavorite toonsGanesh Chaturtirib-tickling comedy‘Non-Stop Oggy’!